As you may know, discount broker OptionsHouse is currently running a promotion which gives 100 commission free trades for every new customer with $3,000 deposit. This is a good deal if you can get the most out of the offer, even though trading 100 times in 2 months (the free trades will expire 60 days after the account is funded) is pretty tough for anybody. Anyway, since I already have an account, I won’t be able to take advantage of this offer. But if you are interested in getting the free trades (valued at $295), here’s the information you need to open an account. There are a total of nine steps to go through in the process. At first, you need to select the type of account you want to have, individual or joint account. Then you will need to create a profile by providing your email address and selecting a user name and password. 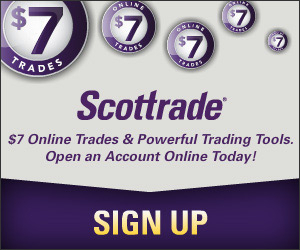 You will use the user name and password to log into your trading account once it is established. The other information are pretty standard, such as employment and financial information. After you agree the terms and conditions, you will need choose how to fund the account in the next step. OptionsHouse offers several options to make deposit to the account, by wire, ACH, check or ACAT account transfer (OptionsHouse can reimburse up to $100 account transfer fee). If you are not planning to transfer your account from another broker to OptionsHouse, then ACH may be a better choice. To set up ACH, you will need your bank’s routing number and your account number. And as you know, it takes some time to set up ACH transfer. OptionsHouse uses trial deposits to verify bank account ownership which takes a couple of business days. The online application process is rather simple, but the application isn’t completed yet. Once you finish the online process, you can log into your account immediately. However, you will need to printout you finished application form and fax it to OptionsHouse before your account becomes active. If your account isn’t active, you won’t receive real-time streaming quotes (of course, your account also has to be funded). Now that you know the whole process, are you ready to open an OptionsHouse account and get the 100 free trades? Soc.5806 Paperwork has been sent in to Tranfer funds from Firstrade Securities online Stock Broker account 498-10367-10.Need to Know whta action is needed by me.Ph. (757)393-1150.